Picking A Tradesman For A Household Repair? Read This Before You Book! Every once in awhile, something will go wrong in your home. There's no escaping it and no ignoring it, and as much as you might curse the manufacturer or the builder, that won't fix the broken thing. You're left with a decision - fix it yourself, or call someone to do it? In some cases, it's not really that much of a decision. Some of the minor electrical or plumbing issues that happen around a house we can fix ourselves, according to HowStuffworks.com. It saves us money - we pay for the part and maybe the tools - and it saves time. All straightforward. But some issues we will not be able to fix ourselves and will need to call someone to sort out. And that can be the tricky part. Not so much calling someone - we all know how phones work - but picking the right person. The drawbacks of picking the wrong one can be quite pronounced. Let's look at the competing priorities of hiring someone to carry out a repair. When you have concluded that you can't fix a fault yourself, you accept that you'll need to pay for the repair. This can be a bit of a punch in the gut, as you don't tend to budget for things going wrong in your monthly planning. When you call around for quotes, it can become all the more stressful. What you assumed to be a straightforward fix might come in as a quite expensive job - and not being an expert on the topic, you're ill-positioned to haggle. It's always advised when hiring a tradesperson that you take at least three quotes before making a decision. You can take more, and when you're happy with your decision, you'll book the work in. But if you hire the person who gives the cheapest quote, you may be making a very unwise decision. 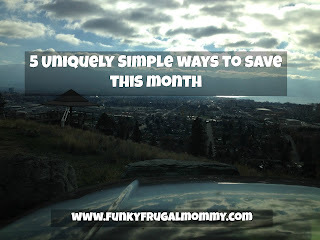 We all like making a saving, but it’s not the only priority. There can be no arguing; the internet has made things easier for us in terms of buying and selling goods and services. The online marketplace facilitates a lot of things for us. Including hiring repairmen and women. There is, however, a flipside to this. Once upon a time, when word of mouth was what promoted plumbers, electricians and other workers, people who did a bad job didn't get rehired. But if all you have to go on is a list of prices, you can end up making a poor decision. You should look for more information on anyone you hire to carry out a repair. Ideally, they'll have their own website, and it doesn't hurt if it looks professionally done. It's better yet if there are videos on there to show they know what they're doing. The internet can help, also, in finding if they have signed up to a rating site where customers can give their endorsement (or warn you away!). One reason to be hesitant about hiring a contractor who offers the lowest price is that it may indicate they're just happy to get paid. If their price is steeply lower, it's more than likely for a reason. Reliable electricians, for example, know what a job should cost because they know how long it will take, and what equipment they need. So for example, a random individual you pick from Craigslist or Gumtree might be great at the job, and they may not be. Someone you hire through the likes of ElectricalConnection.org will have been vetted and accredited. If they cost a bit more than someone else, it's worth it. This way you know they'll use the right parts and the right tools. And that you won't need to hire someone else to unpick the original fault plus the results of someone else's half-done job later on. Sure it's tempting to pay the lowest price, but there is a balance to strike here. Let's set it out simply - some repairs will require specialized tools and a specialized part. These parts may cost more and the job may take longer. Someone might do it quicker, for less money. But the chances of that fix holding long-term are remote. What's it going to take to fix it? What are the chances of the fault reoccurring? Should I be concerned about this problem developing elsewhere in my house? If the tradesperson doesn't answer these questions satisfactorily, don't hire them. They don't need to give a long, drawn out answer, but being able to explain the issues they have identified will show their credibility. It's often the case that the problem you find in your house can be a symptom of something initially failing elsewhere. Whether you're hiring a plumber, an electrician or any other contractor, be sure that they trace the real fault. In many ways the job they do is like that of a doctor. If you went to a doctor with a cough, and the doctor said: "Well, the problem is that you're coughing! ", you'd rightly doubt their credentials. What you want to know, and what they should be able to tell you, is why. Perhaps the most important thing to pin down when booking a repair is whether the person doing it will guarantee their work. If the same problem occurs a few weeks down the line, you shouldn't be paying for another callout. It doesn't necessarily mean they have done a bad job, just that the initial issue may have been misdiagnosed. It happens, even to the best. If the repair is guaranteed, this shows that the electrician has confidence in their work. They will have planned out the job before they do anything and, if they get it wrong, be prepared to redo it at no extra cost. This is something they can confidently offer because they won't have to make good all that often.